Nothing says "teamwork" like armed robbery, followed by golf. Grand Theft Auto Online launches October 1st for any and all who purchased Grand Theft Auto V. But what activities might this morally ambiguous playground offer to you and your delinquent chums? You and your crew can shoot, rob, detonate, and hijack your way to the gangster power fantasy you've always dreamed of. Game Informer Magazine has a full write up in October's issue for those dying to know the full details, but I have some favorite highlights that I'd like to share. The real joy to any GTA game is the ludicrous amount of junk you can do, and GTA O is no different, save that you're slumming with your buddies as well. Robbing a bank? Bring your pals along to hold off the cops while you shake down tellers. Gunning down rival gang members for territory and street cred? The more the merrier! Hijacking a cargo plane to smuggle drugs, or whatever? Have a friend blast pursuers from the sky in a helicopter as you soar to freedom. It's not all about guns and explosions in the world of GTA O. You and your friends can come home, wash the blood out of your white Gucci knock off suits and hit the links for a nice round of the gentleman's game. Seriously. 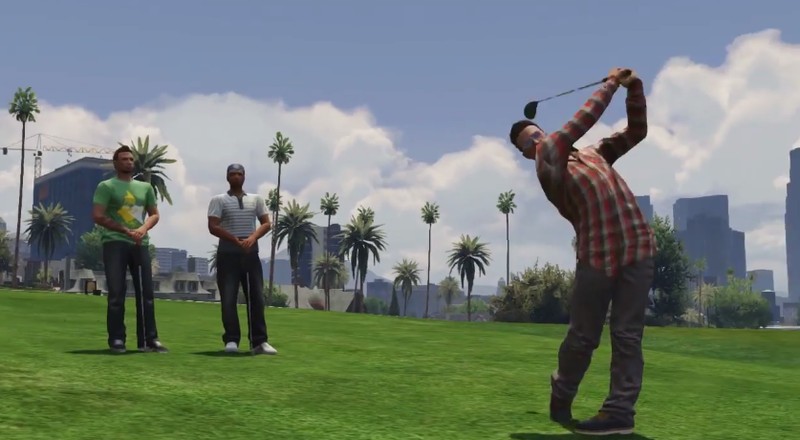 You can play 18 holes of golf with three pals. Okay, so maybe golf isn't your thing. Rockstar gets that. How about tennis? Or base jumping? If sports aren't how you want to relax after a long day of robbing liquor stores, you can head to the movies. Theaters accommodate 16 folks at once, so your crew can take in a show together. Alright, movie tickets are expensive. Not a problem! Just invite the whole team over to your place to watch some TV and rip a bong. 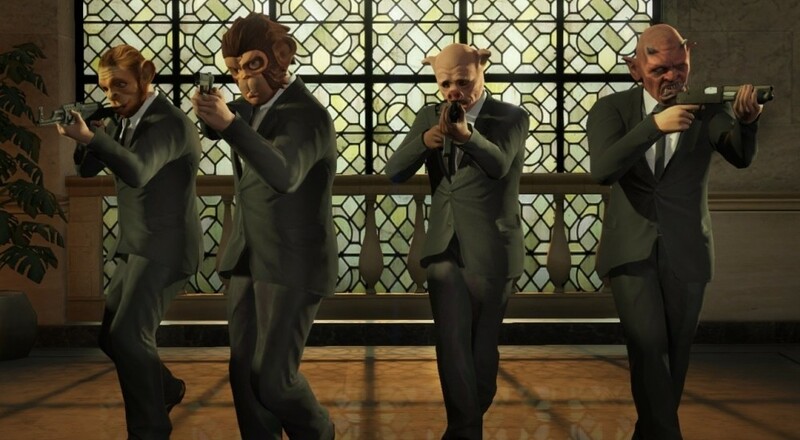 Bottom line: there is a ton of stuff to do in GTA Online with whatever band of thieves you assemble, and I haven't even scratched the surface. From hiring strippers to gang warfare, GTA O has plenty of R rated mayhem for you and your posse to sink your teeth into. Page created in 0.3571 seconds.